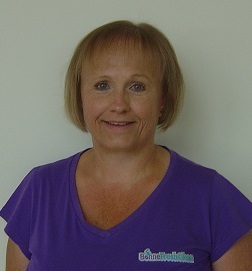 Hello, I’m Karen and I run Bonne Fresh Clean – a premium quality, professional carpet, upholstery and leather cleaning company serving Bristol, Bath, South Gloucestershire and the surrounding areas. We want you to be delighted with the cleaning results we achieve for you and that’s why we offer a full 100% satisfaction guarantee. We use state of the art modern equipment and gentle yet effective cleaning solutions to care for your carpets and fabrics. Our treatments are child and pet friendly and leave no residues. We are approved by The National Carpet Cleaners Association (NCCA) and The Approved Carpet Cleaners Alliance (TACCA) so you can rest assured that we are regulated by the best industry associations in the business. Plus, of course, we are fully qualified, experienced and insured. We are proud to offer professional carpet cleaning, upholstery cleaning, leather cleaning, leather repair & restoration, stain removal services, stain protection treatments and rug cleaning across Bristol, South Gloucestershire and the surrounding areas. It is a privilege to be of service to so many customers who invite us into their homes to deliver a high quality professional service. And we’re a little bit different to other carpet and upholstery cleaning specialists in the area, as we are an all-female team providing extra special attention to detail! Please take a look around this website which is regularly updated and contains lots of useful information. Below you will see links to follow us on Facebook and Twitter where we regularly give useful carpet care tips, stain removal advice and special offers. You can call us anytime for a free, no obligation quotation, or simply for more information or advice.